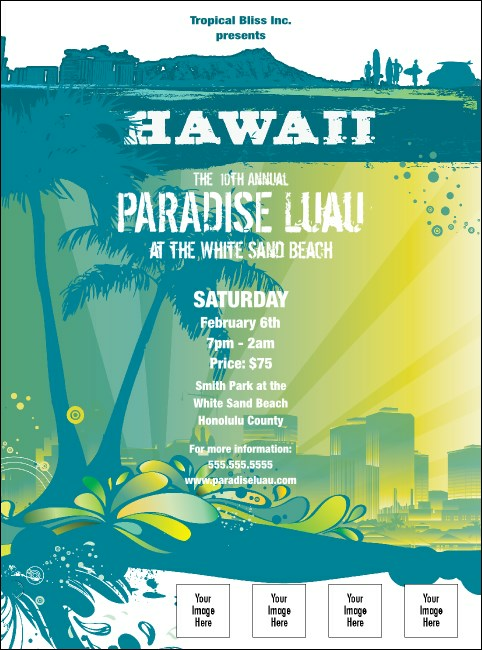 Draw a crowd to your Gathering Place with this full color Hawaii Flyer. With a surfer surrounded by palm trees, the images of the Rainbow State's beauty adorn this Flyer template, which allows you to add six of your own sponsor logos, corporate designs, speaker head shots, or other images. Under construction? Build a strong foundation for your event with print publicity from TicketPrinting.com.